SaleHoo – Our Comprehensive Review Lets You Know How Good It Really Is. Drop shipping is a great way to build a business, but to get ahead in competitive markets, it is always best to grab as much help as you can. There are many tools out there to boost your drop ship business, and our SaleHoo review will walk you through all the features and help you decide if SaleHoo is the product that will take your business to the next level. So, we start this SaleHoo review by taking a look at exactly what it is, and importantly, what it does to help your drop ship business. I found SaleHoo by chance, I have been running a small drop shipping business on eBay for around 8 months, and I had relative success, but as it is a side business I use to fund extra trips and other treats for the family, it is not something I put lots of time into. My personal experience of drop shipping from the start was that the challenge was not the selling part, a well written and promoted eBay listing of a good product will generate sales, it was finding the right drop shippers to partner with. This may be something you have encountered as well, but for the business to work smoothly without investing huge amounts of time and taking me way from my other work, I needed a drop shipper who was reliable, with delivery times fast enough to keep customers happy, while having wholesale prices cheap enough that I could make a decent profit per item. Going down the usual route of Ali Express, DHgate or Alibaba just swallowed my time, they are very comprehensive, and I have nothing negative to say about any of those sites, but it just takes so long to find the right kind of supplier there that it became a frustrating experience. It was at this point I started looking for alterative ways of finding the right suppliers, and that is where I found New Zealand based SaleHoo. Launched in 2005, SaleHoo is an online directory of suppliers, sales training, a research tool and a community of people interested in drop shipping, all accessed through one simple interface. What that gives is the tools to find the very best products and suppliers quickly, along with training and community support that can give you the advice and inspiration you need sometimes on this journey to success. In short, if you imagined everything you wanted from a guide to drop shipping, that is SaleHoo. Another directory? Why is SaleHoo different? While Salehoo has all the tools to find the best products for your drop shipping business, as this SaleHoo review will show, it is not a wholesaler itself. Instead, it’s a directory of the best wholesalers, manufacturers and drop shippers out there, those who have competitive prices but still provide a reliable service with fast delivery to your customers. What’s even better, is that SaleHoo evaluate all suppliers before adding them to the directory, saving you a lot of time when finding suitable sources for the products you want. Not only does it save you time, but it means that when you use SaleHoo’s research tools to drill down into the directory to find the products you want, you already know that the supplier meets the standards you are looking for. It’s a great confidence boost and really helps push the research part of setting up a new drop shipping project as quickly as possible. No SaleHoo review would be complete without talking about the range of products you get access too through the accredited suppliers. There are around 8,000 suppliers in the directory, with businesses from all over the world included, with New Zealand itself, US, UK, China and Australian based suppliers being the most common. That means that wherever you are, there is probably a supplier nearby who can help build your drop shipping business. More importantly, from those suppliers, SaleHoo lists around 1.6 million products, providing plenty of options for every niche you may be involved in. The combination of approved suppliers in the database for peace of mind, a huge choice of products and the easy to use market research tool that allows you to quickly find the right product for your business makes a huge difference when setting up a drop shipping project, saving time and frustration compared to looking through Alibaba or other sites. Their “lab” feature does all the work when looking for a profitable item to dropship, saving you the time and hassle of doing market research! How much does SaleHoo cost and what do I get? That all sounds great, you are thinking, but an important part of the SaleHoo review is how much it costs, and what value you get from that. When I first heard about SaleHoo, I liked the features, but as a new business, I did think it would probably be too expensive for my needs. I was surprised when I found out it is only US $67 per year for membership, but it does mean that is within the reach of anyone, even new drop shippers. For that $76, SaleHoo gives full access to everything on the site. That means the directory of 8,000 pre-screened suppliers, the full 1.6 million plus products, the research tool that allows you to quickly find what you need, with no restrictions on use, make as many searches as you like. In addition, you also get the unlimited training that can help you master your new business, along with a very good support system, along with membership of the community, so you can share your experiences and ask questions from others in the drop shipping industry. I think that offers a lot for the price you pay, even if you don’t want to use any of the training available, and as I will discuss later in this SaleHoo review, it’s worthwhile for everyone, the directory and research tools can save you so much time it easily pays for itself. What’s SaleHoo like to use? Anyone who has bought anything online, especially something to help their business, knows that sometimes, what looks good on paper is not so good when you try and actually use it. In this part of the SaleHoo review we will look at each aspect of SaleHoo and what it is like to use, and how it can help your business. First, we look at the suppliers found in the SaleHoo directory. There is a broad spread of wholesalers, manufacturers and drop shippers, and every one of them has been assessed by SaleHoo staff prior to being included, making sur they are legitimate, trustworthy companies. This pre-screening by SaleHoo is important, as it means you can be confident in the suppliers when researching new products, removing one, time-consuming part of the work you need to do when sourcing new product lines. With suppliers located around the world, I have been able to connect with companies that are able to provide a fast and cost-effective service to my customers, an important part of the drop shipping process, and I have found accessing the data I need for these suppliers, and the ease of getting in touch with them through the provided outreach templates, a valuable part of the SaleHoo service. However, nothing is perfect, and while there are a large number of suppliers, and they are spread all over the world, there are still plenty of legitimate, trustworthy businesses not included in SaleHoo’s directory, so you are restricting your choice of supplier. This is understandable, they cannot be expected to include every supplier in the world, and so the question we have to ask for ourselves is a simple one. Is the convenience and usability of the pre-screened directory worth the narrower range of suppliers you have access to? For me, the answer has to be yes. In my struggle to find good suppliers, searching through scam listings and endless disappointment as I found supplier after supplier didn’t respond, wanted too much per unit or too long for delivery, I wasted valuable time, but also got incredibly frustrated. Through SaleHoo, I have found some incredible suppliers, and I have been able to do that quickly and easily. I believe that for most of us, that compromise on how many suppliers we have access to is definitely worthwhile. No matter how easy it is to find new product lines, or how good the pool of suppliers in the SaleHoo directory are, none of that matters if the products are not good enough. After all, above everything, as drop shippers, we want products people will buy, so what are they like? With over 1.6 million products available from the SaleHoo approved suppliers, there is obviously plenty of choice. I was pleased to find that whatever niche I looked at, several alternative products were presented from the search tool, so you always have options when it comes to choosing suppliers. Pricing does vary, and this is an aspect that you really have to pay attention to, because I did find some products being offered at a similar price to those on eBay, with little room for any profit. SaleHoo does make product finding easier, but you still need to check everything yourself. As with the number of suppliers, the available products are limited compared to the choice on the wider markets. Again, this is a balance between having easily searchable, good quality products from pre-approved suppliers and access to a bigger range across the internet with all the reliability and delivery problems they bring. 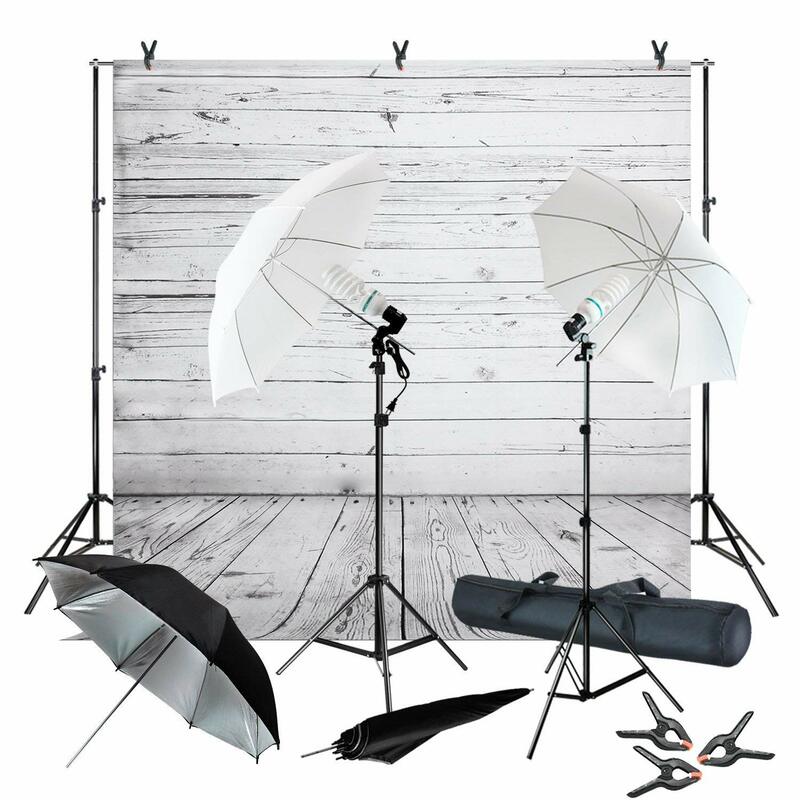 More products is always a good thing, and SaleHoo are continually adding more suppliers to deliver that, but I do think that this service offers a good balance, and I have never been in a position where I felt I could not find what I wanted. Overall, SaleHoo has given access to good quality products, including new and upcoming trends that have allowed me to stay ahead of demand and react to market changes before some of the competition. Sometimes, finding the right product for your business can be a real challenge, its easy miss upcoming trends, or find yourself getting into a product range as the market loses interest, but with SaleHoo you get the tools to overcome these issues, at least to an extent. There are extensive search options in the database that allow you to quickly find the product you are after when looking for something specific, but SaleHoo also include unlimited access to the Market Research lab. This is a simple to use tool that allows you to choose certain parameters, including sell rates and competition, and it highlights products or niches that meet them. SaleHoo can even highlight trending niches for you to provide inspiration, which can be a good option for those just starting out, where choosing the right product can be overwhelming. The research tools are very good, and along with the design of the site make it a simple process to find the product and supplier that fits your needs. For someone who had spent such a long time going through sites like Alibaba as I tried to find my way in this business, SaleHoo has transformed my workflow. Customer Support – This is responsive and prompt, providing answers and advice quickly as required. They are very knowledgeable, and they seem to understand the needs of drop shippers well. Training – Interactive and provided in a more fun, easy to read way than some, they avoid the dry, repetitive information that you may have seen before. While anyone who has been involved in the industry for a while will think the training is very basic, it is excellent for those new to drop shipping, which is the target audience I think. However, there are some nuggets of useful information for everyone in there, and it’s definitely worth checking out. Community – Members of SaleHoo also get access to the community forums, where you can discuss business, ask for advice and so on. This is, I think, a part of the service that is probably overlooked, and something that will be undervalued, but I have found it very useful. Being an entrepreneur can be a bit lonely at times, especially if you are starting a new business like drop shipping that no one you know really understands. Having access others going through the same challenges is great, while answering questions and offering advice is important, I have found that it is a great motivational tool more than anything, knowing others are succeeding in the business has got me moving on those days where it just seems like everything is against you. We all have them, and as a result, having access to this kind of community can help. SaleHoo Review: Should you buy it? Salehoo delivers a great product, thanks to its pre-screening, you always know you are dealing with reputable suppliers, it has a broad range of quality products and a great support system including an easy to use product search that helps you spot new trends and provides inspiration for new product ideas. It does not offer the perfect solution, while 8,000 suppliers and over 1.6 million products are a huge range, and it includes a significant number of big brand items, more is always better, and you do restrict your options a little compared to the huge range available across the web. But that compromise does seem to be worthwhile, with the ease of searching and reliable suppliers making the research for finding a new product so much faster. 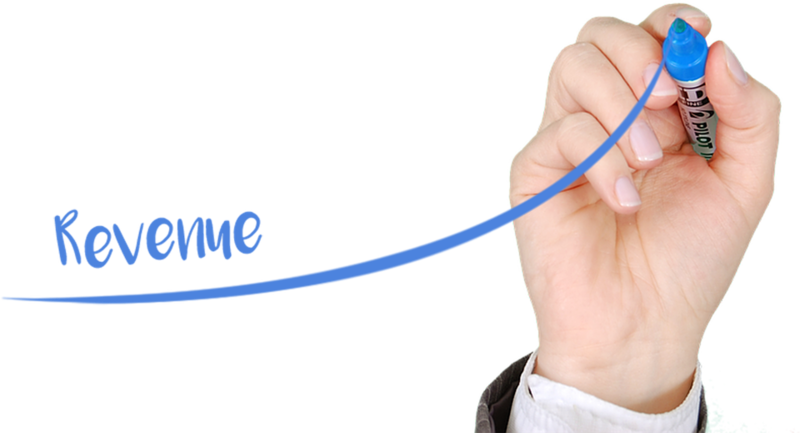 At $67 per year, the price is good too, and even someone just starting out can make use of SaleHoo without having to invest a large amount to get the information they need, with the included training it really is a great option for new businesses. Overall then, with their pre-screened suppliers, SaleHoo take a lot of the challenges drop shippers face away, no more worrying if the supplier will run off with your money, you are only dealing with people who deliver. It’s the same with the products, being able to identify trends quickly and locate suitable products in minutes makes a huge difference, and that lone is worth the yearly price of membership on its own. When you add in the exceptional support and community aspects, SaleHoo does deliver for drop shippers of all kinds, and is especially good for those just starting out. SaleHoo is not perfect, more products would be good, and some products are just too expensive to make money on, but it offers a set of features that make a real difference to any drop shipping business, and at just $67 per year, is not only something you should buy, but I would call SaleHoo a bargain! If you liked this review, check out our other article about wholesale drop shipping suppliers! Today I want to speak about how to make Poshmark sales automatically, with minimal effort. Of course, this will involve some Poshmark automation software, and a nice looking closet. Selling on Poshmark will never be the same ever again, after reading this. You see, the whole idea behind this method is to already have a great looking closet that gets a lot of likes & engagement. By engagement, I mean comments, likes, follows, sharebacks… etc, you can call this “Closet traffic”. How do we get Poshmark closet traffic? If you are selling on Poshmark, then you should already have semi decent looking closet. Let go through some basic steps and get your closet looking halfway decent before we go and implement automation. The pictures of your listings on Poshmark are one of the most important selling points you have. A picture is worth a thousand words, and quite possibly a thousand dollars! Take Poshmark listing photos next to a window, try and get as much NATURAL light as possible. Like this one? Click Here. 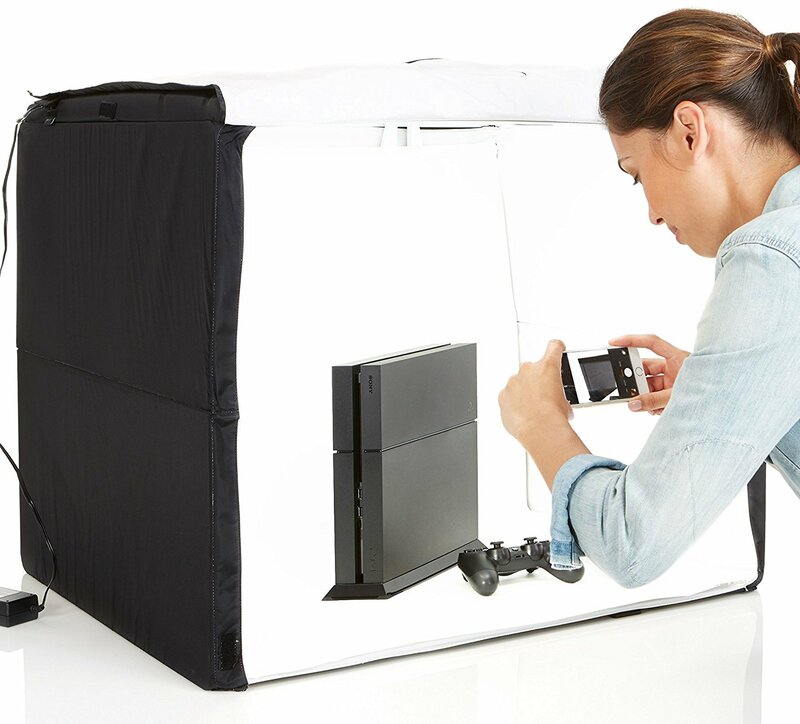 Or, if you are selling shoes and smaller accessories, pick yourself up a photo light box, they have EXCELLENT lighting because of the cube shape, light cannot escape or hide anywhere! Check this lightbox out, they are cheap enough and VERY effective. People are much more likely to buy once they have seen the item being worn. if you do not want to model it yourself, you can use a Maniquinn or a dress form. -Keep descriptions 1 or 2 paragraphs, describe the item as if they did not a have a picture to judge it by and disclose all imperfections. Once you have steps 1 and 2 down as best as you can, step 3 is where we implement automation. Let’s say you went with the best one. What do I need to automate within the Poshmark platform? The best times for sharing on Poshmark would be in the morning, noon & evening times. Some Poshmark automation tools have a scheduler built right into them, so if you are able to schedule shares, schedule them in the morning, noon & evening times. But DO NOT share your closet more than 3 loops per share session. 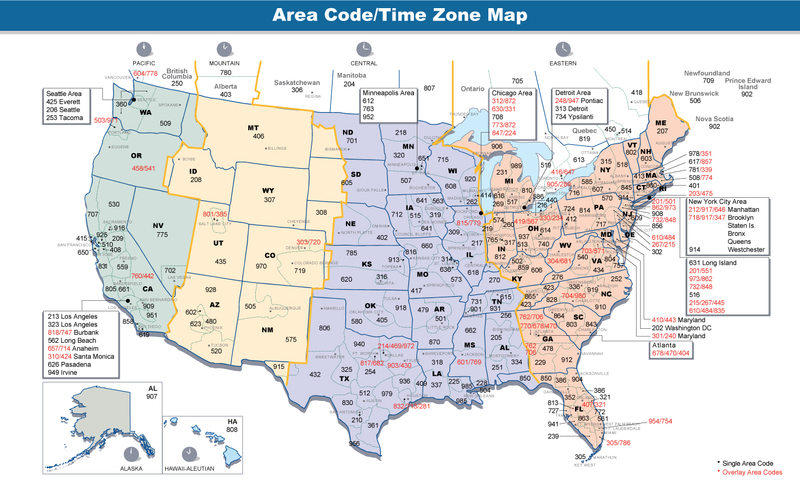 Pro Hint: In the US, there are 4 effective sharing time zones, Eastern, Central, Mountain & Pacific. You have options now. the time span of 8AM – 12AM is the morning time across the whole US. Sharing every hour from 8AM – 12PM, you will have the entire US seeing your listings before they leave for work. Sharing every hour from 12PM – 4PM, you will have the entire US seeing your listings while on their lunch hour. Sharing every hour from 8pm – 12Am, you will have the entire US seeing your listings while home, on their computers. Try and share as many other people’s closets as you possibly can. This will increase engagement & closet traffic. Anywhere from 300-500 Community shares per day is satisfactory enough to get some decent Poshmark closet traffic & offers. Following is just as important as anything else. In Poshmark Pro Tools, you are able to follow people who like the brands you are selling by finding products on Poshmark that include your brands, it then scrapes the the closet names of the people who like and / or comment on those listings and follows them! It’s a genius idea and truly increases your sales by 20%. The tool that is used for this is called Poshmark Pro Leads. You should be fine with Poshmark Pro Tools – 6 Action closet scheduler, as 6 actions should be enough different time slots you would need. Using that schedule as a template, this is one very effective way to get sales and offers on auto pilot. Every few days, switch up the brands you are keyword following. Sometimes there are variations of the spellings of some brands, for example: Anthropologie, some people may shorten it like “Anthro”. Pro Tip: Community Shares = Fast closet traffic / Target Follows = Long term, sustainable closet traffic/engagement. Once you are on a set schedule, you will hardly ever have to touch it, unless you wish to switch the brand names of the keyword follows. 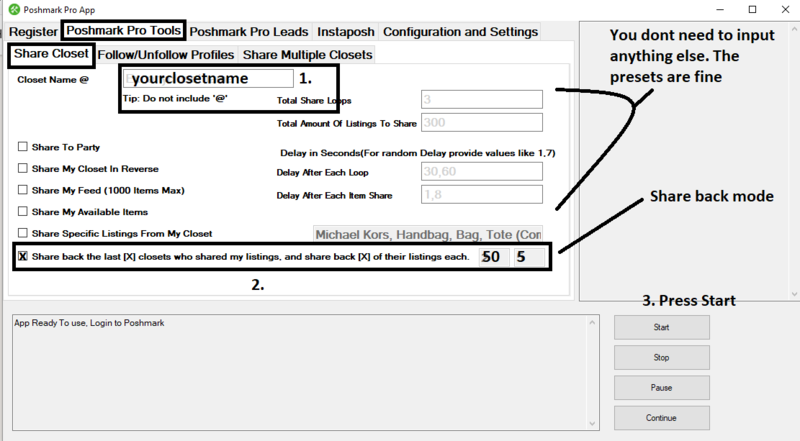 Poshmark Pro Tools is the best platform for this method, not only because its very popular, but because it’s the only Poshmark bot to have a scheduler module! Just sit back, relax and watch the dollars roll in ! Can I Get In Trouble For Using A Poshmark Bot? There is alot of controversy on this subject and whether it is against the terms of service set out by the selling platform. In their terms of service, they can kick you off and ban you for ANY REASON THEY FEEL LIKE. Feel the Posh Love yet? You agree that Poshmark, in its sole discretion, may suspend or terminate your account (or any part thereof) or use of the Service and remove and discard any items or content within the Service, for any reason, including, without limitation, for lack of use or if Poshmark believes that you have violated or acted inconsistently with the letter or spirit of these Terms of Service. Any suspected fraudulent, abusive or illegal activity that may be grounds for termination of your use of Service, may be referred to appropriate law enforcement authorities. Poshmark may also in its sole discretion and at any time discontinue providing the Service, or any part thereof, with or without notice. You agree that any termination of your access to the Service under any provision of these Terms of Service may be effected without prior notice, and acknowledge and agree that Poshmark may immediately deactivate or delete your account and all related information and files in your account and/or bar any further access to such files or the Service. Further, you agree that Poshmark shall not be liable to you or any third-party for any termination of your access to the Service. Now. let me explain to you why you WONT get banned. If you watch some YouTube videos about bots and Poshmark, or go on Instagram and watch ignorant people talk about how bots are causing Poshmark to crash, you’ll notice that it’s always the same people saying the same things. There’s a reason for this. The popular reseller bullies don’t want you to see what they are REALLY up to and will try to scare you because they dont want to see you succeed. And this is why they stay on top. First off there are plenty of things that “Popular Reseller Influencers” are doing that are just as, if not, MORE shady than using a bot, and WAY MORE against terms of service. For example, I see some majorly big closets using stock photos ripped right from original clothing companies websites (thats against copyright law), I also see “reseller role models” selling non-Poshmark-compliant items in their closets. Some of these HUUGE name resellers (I wont mention names) have already admitted to using bots (the same people who have spoken out against them). I’ve even witnessed some of these “influencers” directly say they “work for Poshmark” and threaten people, but yet… Nothing is done to them. And some of their wrong doings are actually against the LAW and a criminal offense. Using automation may be against TOS, BUT it is NOT against the LAW. Poshmark makes more money when you share more listings because more people are buying your items! Trust me, Poshmark knows exactly how much revenue bots bring them in. If you think for one second that Poshmark really cares if you use a bot or not, you may be in for a surprise. First and foremost, they are a BUSINESS, the whole point of a business is to make MONEY no matter how they do it. You sometimes hear about people getting kicked off of Poshmark and their accounts shut down. Alot of that is a myth, the reason most of those accounts got shut down is because they SCAMMED someone or harrassed someone multiple times, or threatened someone, so they have to make an example. The LAST thing they want to do is get rid of someone or something that makes them money. Think about it, if you were a business and you KNEW that half of the revenue you made was from people using bots, would you ban them all? They wont do that, because it wouldnt just be them selves they would be hurting, it’s the investors & the employees. So, before you freak out, or you know someone who is currently freaking out, either send them this blog post, or explain to them that if they were going to get banned, it would have happened already. And Poshmark wants you to keep making them MONEY! Which Poshmark Bot is the safest one to use? If you were going to use a bot, use Poshmark Pro Tools. It is proven time and time again, to be the most elusive & discreet automation. With human-like sharing and following patterns & randomized delay settings, over 2,000 clients have not been detected, or ever banned. Auto Sharing – Auto Following – Auto ENL – Auto Sharebacks Auto Captcha Solving + WAYYY MORE at your fingertips. The age of automation is officially here. You can now rely on automated tools like the ENL Bot to not only simplify the work process but also to save time for many of your online functions that need to be repeated daily to see targeted sale results. 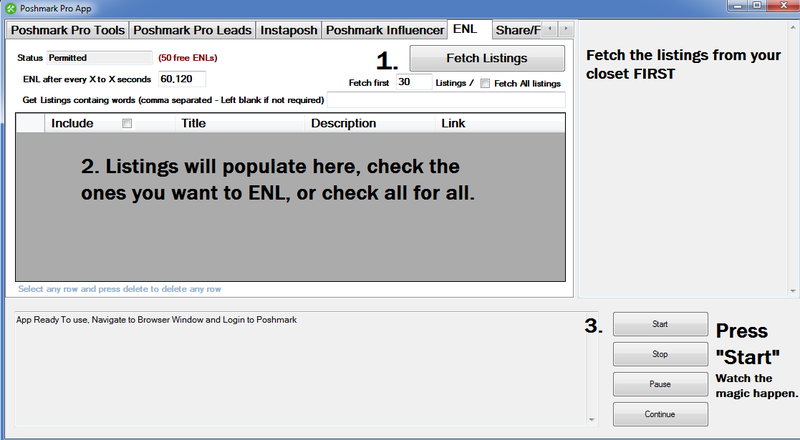 With the Poshmark Pro Tools ENL Bot, we have already started taking major steps in this direction. 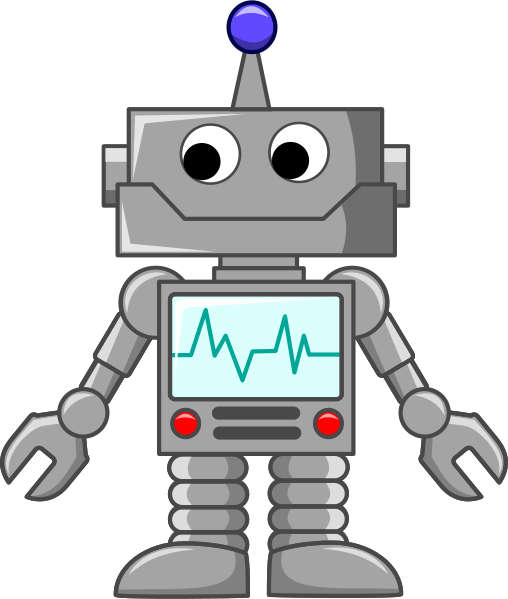 The new automated ENL bot is the latest in this line-up of convenient tools featured. 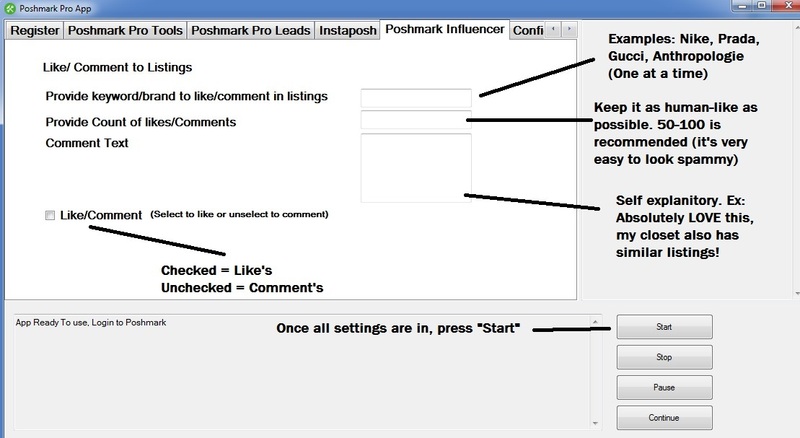 The tool has been developed specifically for Poshmark app users who are strictly following the 30 Minute Method to increase their listing leads. Tired of repeating the Edit Next List command repeatedly every day for increased closet views? 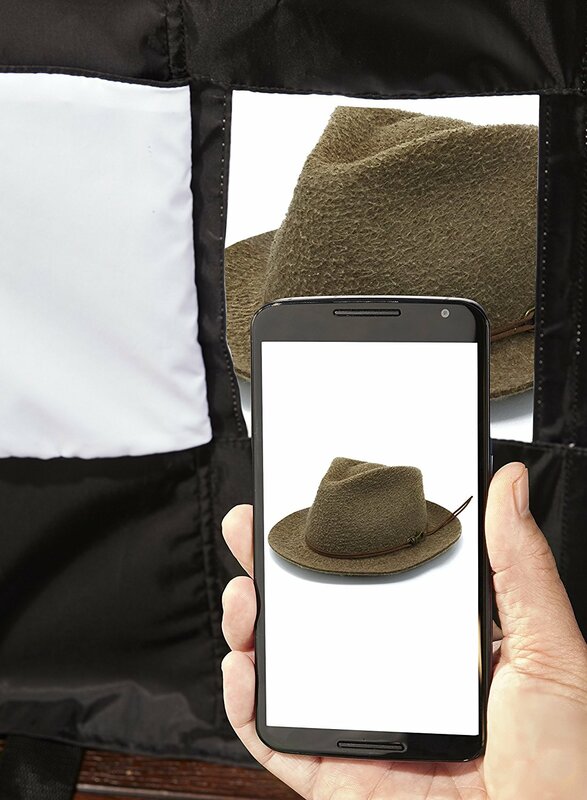 The automated ENL takes the sting out of the repeated action but increases the listing results for your closets. Here is a look at the detailed features of the new ENL bot at Poshmark. What is the ENL (Edit Next List) Process? The edit next list options allows you to share your closet items without having to go through re-listing repeatedly. You can simply use the ENL process to send your closet listings to the top of the everyday feed each time. You can use the feature multiple times a day, which will increase the number of times your items are actually seen by fresh target audiences. There is a direct proportional relation of the number of people seeing your listing to the number of sales you can get out of the process. Always respond to every comment you receive on the listings all through the day. Make sure your customer service option is always above reproach for all your loyal clients. Be a regular at the Posh parties – especially the ones arranged between 8-10 PM (hours might vary according to time zones) every night. This 2-hour frame has a record of always contributing to the most sales for every lister who is a regular attendee. 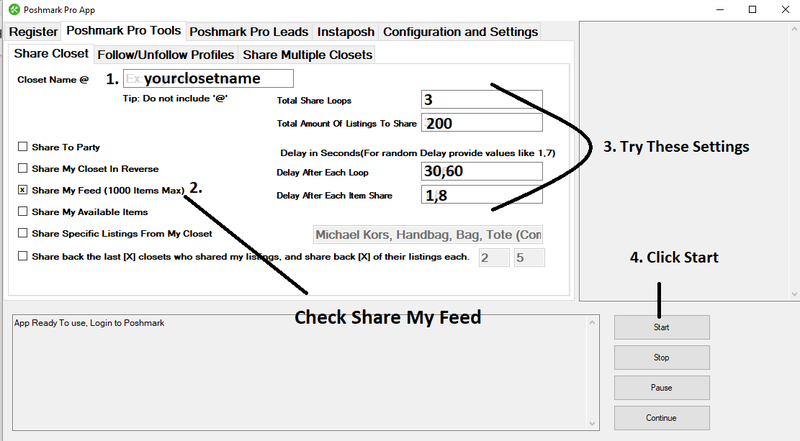 Use the Poshmark automated ENL bot to share every listing of your closet starting from the last one to the most recent. Every listing should be taken through automated Edit – Next- List at least once. Where it used to take about 5 minutes to complete the action per listing, with the automated bot, it will take seconds now to be done with this vital step in your sales strategy, saving you a huge chunk of time in the process. The ENL protocol is specifically important during the Posh Party timeframe so your entire closet finds its place of glory in the Posh Party Showroom for maximum attention during the event. In fact, Poshers have been tracked to be back at the showroom time and again throughout the party to browse and select products. Your listing featured prominently in the party showroom at the peak traffic hours will yield the best sales conversion results. A drool worthy cover image for your listing will always be a great crowd-puller. However, make sure you only display what you are willing to include in actual sales. You need to keep sharing your listing during the peak party hours and frequently throughout the day or your listing will lose its rank in the brand and eventually have lesser visitors. The ENL bot simplifies the sharing option but please note that you can share (without editing) unlimited times on the platform. If you intend to edit the description, the brand or the category options, you can only use the ENL option 3 times for each listing in that case. Combine the drop prices option with the ENL feature to popularize your closet sales. The best tip by Poshmark veteran sellers is to set a steady day for the sales. This could then easily become an anticipated affair amongst your followers. It creates a buzz when you use the ENL to start announcing the sale about a few hours ahead of time. During the set hours, it can be your peak sale momentum. The set hours will also ensure your sale trends towards the maximum during these days so you can also schedule your closet stocking and Poshmark scheduling accordingly. Combine the price drop options with certain actions to positively reinforce the pattern. So, for instance, you can announce a 10% drop on prices on specific listings, which have collected more than 30-40+ likes. The price drop notification mainly goes to those poshers who have opted to like those listings. This encourages more followers to take interest in your weekly listings and to make sure they have liked the ones that have specific items that they covet. This way they can eagerly wait for the price drop opportunity at the set days of the week on individual listings. Take the time to follow your followers back. It is a tedious process, which surprisingly yields immediate results with increased traffic to your closet listings. Share listings that you admire to builds a loyal network of poshers on the platform. They will return the favor for your collections once you start connecting with them regularly making sure your listings gain a traffic boost. The ENL bot comes in to play here as well. You can also use the automated feature to set sharing goals. Each day make sure to complete a set number of shares without losing time in the three-step process. Instead, use the time for browsing through the many closets to scope out the best ones you like and then share those with your followers. Finally, the Host-Pick showroom is another glaring opportunity to network on Poshmark. Do not forget to connect with the hosts that have impressed you with their hot picks. A positive community will always stand by you to give your collections a more likely showcase on their profiles. The best thing is the traffic boost is just an organic outcome for sharing some positivity and support around. Share other people’s listings (community shares) that you know will impress your followers. Share your closets most popular listings with a price drop feature to invite more followers to like your collections for such sale options in the future. Relist old collections, which still have items that have not been sold out (you can ENL these). Relist collections at alternate days to give a fresh breath of life to recent listings that still have products available for sale. Share collections of Host Picks. Share the active closet listings at a set frequency throughout the Posh night party hours or consistently bring the listing at the top of the page. Since this is a peak hour on the platform, do not underestimate the competition of shares coming in during this time. However, the ENL bot should be a godsend during this action strategy. Make sure though, to have a clean delay frequency between the shares to not overwhelm the community with awkward re-shares at rapid periods during the party (start slow, 10,15 then decrease gradually until you hit a sweet spot and you sharing at the same frequency as everyone else, it’s like entering a highway from an on ramp). One-time payment to avail the product for life. Listing Editor – The listing editor feature to allow for both whole closet and individual listing ENL. The feature also allows you to select multiple items to share and set them up in the module to let the ENL continue at a set frequency while you focus on other works. Keyword Search – You can filter your listings by keyword, singling out only the listings you would like to ENL. 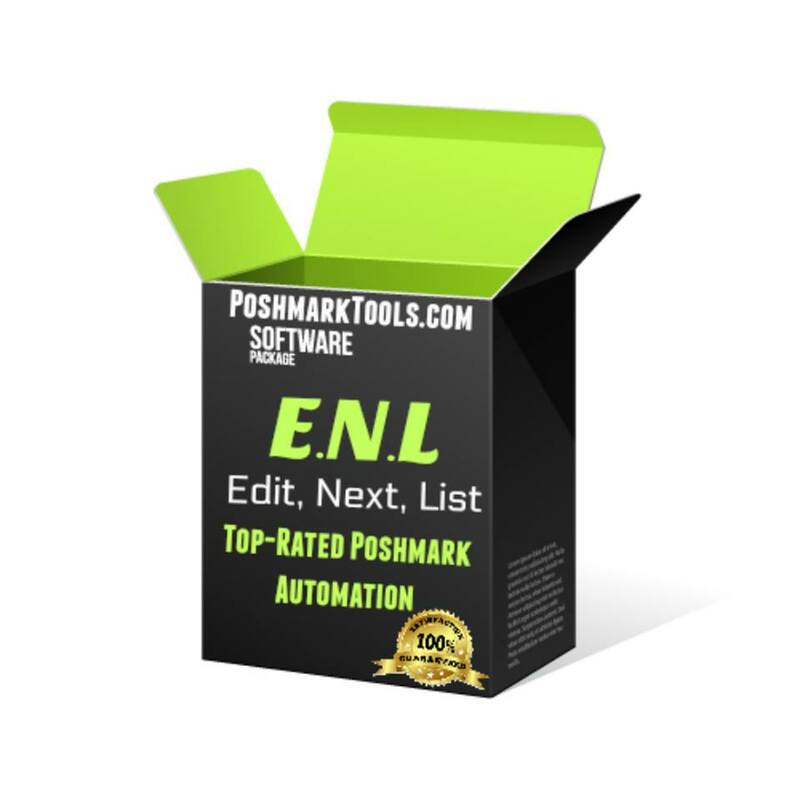 If you are still wondering whether the ENL bot is for you, take the time to manually Edit- Next –List your Poshmark closet for a while. The dedicated benefits of the feature itself will hold a great sway on your decision to invest in the ENL bot from Poshmark Pro Tools. The ENL feature is quite possibly the most underused effective feature of the platform. The ENL bot exponentially increases sales on Poshmark. If you are interested, get yours HERE!! For Poshmark And OTHER Sites LIKE Poshmark! Mike here… Today I want to talk about how to source wholesale clothing and Thrift items that you can resell in your Poshmark closet. This can also work for eBay, Tradesy, Mercari, Depop and anything or anywhere else you’re allowed to list pre-owned and wholesale items. Unfortunately, there’s a lot of people, on video giving a lot of information that is misleading as to where you should source your items. most of these people have relationships with these businesses and wholesale sources that have taken years to cultivate, and they expect you to just waltz in there and get the same deals that they get. Either these “influencers” really don’t understand that they are giving people false information, or they are just looking to make content to fill up their YouTube channel, Blog, podcast… ETC. Anyway I’m here to speak about a few things that I personally know, and speak about a few places that I have personally been and have sourced items from. 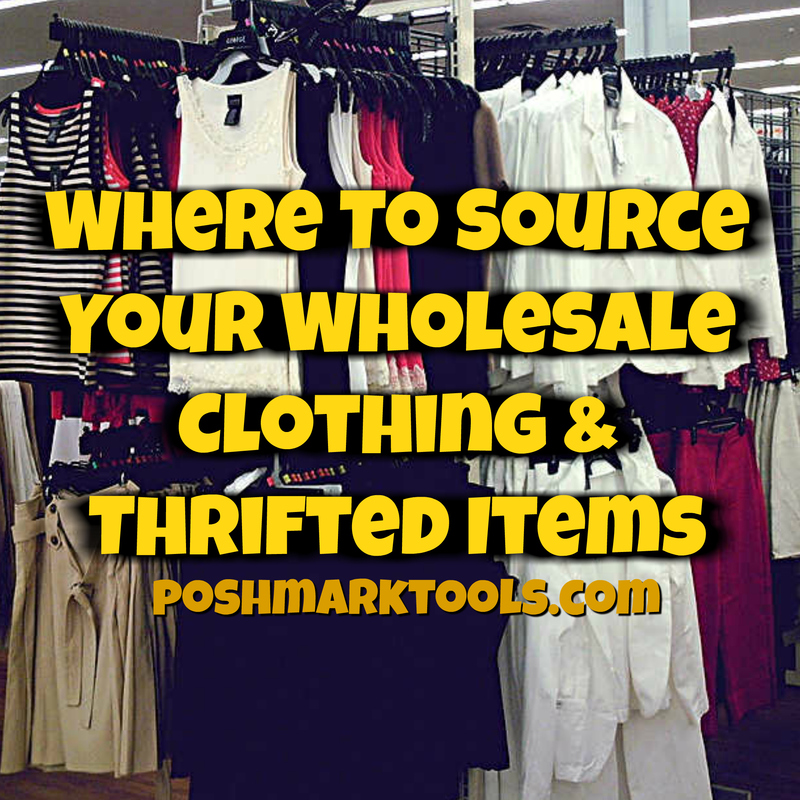 There are 3 places that I mainly use to source wholesale clothing, or thrifted pre-owned items that I know I’ll be able to sell for a good profit margin. When I say good profit margin I mean anywhere from 50 to 75%. The first place I’d like to talk about are the Goodwill bins. being at the bins is an experience in itself, for those of you who have never been there before it is truly a humbling experience. mainly because there are always 50 – 100 people around you rummaging and scouring all the clothes and items within the bins themselves… BUT you can truly find some hidden gems in this place. The best part is you pay for clothes by the pound. When I went I paid a $1.25 to $1.50 per pound of clothing The bins are great for making mystery boxes! and finding a few single items you can list up that will sell really well, please make sure you inspect your items, and if you can do your best inspecting before you pay for them because all purchases are final. The 2nd place is an online store called Thredup.com. This place has many pre-loved & pre owned items that you can purchase online and have shipped directly to you. Please due you do-diligence and inspect the items after you have received them. You can also sell your pre-owned items to them! My 3rd and FAVORITE source is wholesaledesignerhandbags.com. this place has it all, it is mainly a directory of wholesale sources that the owner has collected over the years of being in the business. every single Source has been vetted and confirmed by the owner of this directory. It is very inexpensive to purchase this directory, and for the amount of sources that you will be receiving it is almost too good to be true. I found many luxury designer items, not just handbags, but all sorts of clothing from 50 to 70% off of the retail price, sometimes even more! inside this directory there is more than just wholesale clothing sources, there are tips and a lot of valuable information about this business. 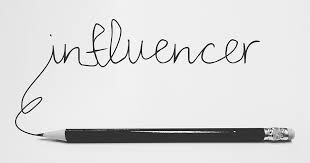 it is very beneficial to read through all the information in this website The owner, throughout the years has helped thousands of people find authentic designer items At wholesale prices and have used this directory to start many of their own businesses, some just for personal uses. First, after you have purchased an account read all of the information at the top of the website, it will teach you how to use the directory to get the most out of it. then you should browse through the supplier lists on the left hand side and get in touch with some of the suppliers which you are interested in. most of the suppliers have websites that you can view their inventory online, some of which you need to contact them to view their inventory. Some suppliers are not even allowed to show all of the brands that they have on the internet, some are under contracts with some of the designers and have signed non-disclosure agreements. that’s why you should always Contact the suppliers directly so you are able to get a feel for most of what they have. This is the real deal, this is how a lot of the top sellers across all platforms do their business. They are getting in touch directly with wholesale clothing suppliers and wholesale designer items suppliers and creating their own personal relationships with these companies. Now you have a good concentration of these companies right in front of your eyes, there is no scouring the internet, calling retailers and begging them to tell you their source! you now have a leg up in the competition and a head start! Some companies will even allow you to dropship goods to your customers, so you will never have to hold inventory, ever! While all of these sources I have provided for you will definitely help you and are AMAZING, you should always do your own research, and check the authenticity of any item that you purchase if you come across any fake items, use your better judgement and don’t list it. This is better for you and your credibility as a seller, because once you’ve listed and sold one or two fake items people will know about it, word will get around fast, your reputation in this business is everything, don’t throw it away for a couple bucks. Provides likes and / or comment’s on listing’s containing specific keywords (brands, styles, type of clothing… ETC). Simply input all information as shown below, and press START! See image below for specific instructions. Grab the Poshmark Pro Tool’s suite to begin using this tool!. We take an active interest in all of our customers’ accounts and success when it comes to selling on Poshmark. We know it can be tough selling ANYTHING online, people seem to think, if you put something on the internet, MILLIONS of people will see your stuff, and you’ll become a MILLIONAIRE overnight. You need more than just a website and products…Same goes for Poshmark. If you just list your items, follow a couple of people, and expect to be flooded with orders, your in for a rude awakening. Taking action is whats needed. 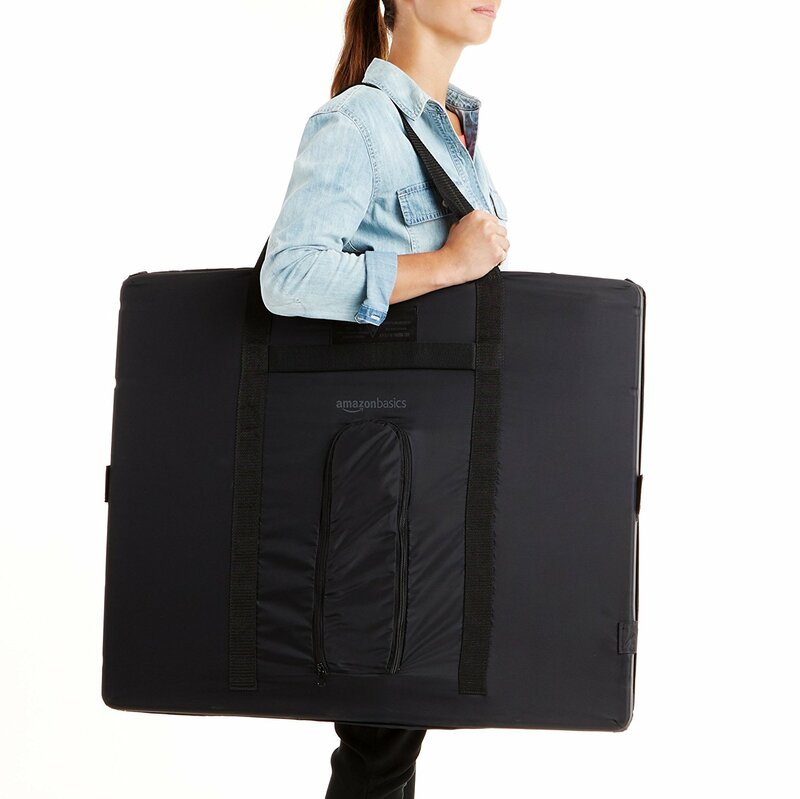 If your closet traffic is stale, do not worry. Here’s some steps to take to stir the pot. Community shares bring a tremendous amount of share backs and traffic to your closet. This will get you some share backs and will flow some traffic to your listings. Dont forget to push start! Try doing this as much as you can! Even 1 or 2 off of this list can make a difference in your closet’s traffic. You should be receiving a nice amount of engagements and notifications.. and ultimately, offers and sales! Remember: if you do not have time to do this, you can always look into our closet services to help you out. We have an exclusive automated platform that will manage your closet for you and perform the strategies listed above, EVERY DAY. If this is something you may be interested in, check out the Closet Management Page! Here’s how make money on Poshmark can take on different forms with out new software! Or maybe just some extra lunch money? Well, now you don’t have to scrape or wait until your listings sell on Poshmark! After you make your account on a gig website, you will post a gig named something similar to: “Will cross-post your listings from Poshmark to Instagram”. The pricing is up to you, but you can start at $5-$10 per 20 listings. With Instaposh, it’s simple to do, and takes less than a minute to set up before you actually start listing. Remember, you will need to get their Poshmark username and password AND instagram credentials to make this work, make sure you write a small disclaimer telling them you are NOT responsible if something happens to their account, and they are voluntarily providing this information to you. Imagine the people who’s closets have 400-500 listings, your talking $50-$100 per order! And that’s a nice amount of cash for 1 job, all you need is 2 or 3 orders a day and you ‘ll have enough money for a car in a few months time! Posting your listings on Instagram increases your chance of selling by 35%-45%. So, get your copy of Instaposh today and start making some extra bucks ! Are you already selling on Poshmark? Do you want more paying customers to buy your fashion? Are you tearing your hair out because your Poshmark sales aren’t as good as they should be? Do you know others who are doing better than you – earning more in a week than you get in a month? Fancy joining the pros who seem perched so high on their chic Poshmark pedestals? Well, you could just be in luck. Research shows that Poshmark listings that are shown on Instagram can boost your sales by at least 25% – and potentially a whole lot more! However, as with so much to do with Poshmark, it’s very time consuming to list every one of your fashion items on Instagram and, as we all, know: time is precious! Luckily, the people who already make Poshmark Pro Tools and Poshmark Pro Leads have developed a new piece of simple software that makes uploading all your Poshmark listings to Instagram as easy as pie. This tool is so simple yet it will transform even an empty Instagram account into a virtual catwalk by enabling you to copy your entire Poshmark closet in just a matter of minutes. After that, you’ll be ready to go marketing all the items in your Poshmark closet on Instagram – just like that! Introducing InstaPosh, the fastest and easiest way of uploading a Poshmark closet to Instagram. It’s not a Poshmark Bot. It’s a simple software tool that will do all the heavy lifting for you so you can concentrate on running your virtual store! Then just press upload to Instagram. All of your selected listings will appear on Instagram thanks to the software and you will have a really clean, beautiful looking Instagram wall filled with all your Poshmark products. As simple as that! Not only will people be jealous when they find out how quickly you’ve uploaded all your listings, but the customers will soon start clicking and buying! The download is simple. The setup is easy. And most importantly, you’ll love Insta Posh and what it can do for your business and it sales! Poshmark Pro Tools is better than ever! Its a Poshmark bot, lead scraper and follow AND a Poshmark to Instagram cross-poster, ALL IN ONE! This is taking Poshmark automation to warp-speed levels. 3 Of Our TOP Products, In ONE SOFTWARE. With all of the same features you love. Sign up below to download the new version! prejudice right?) But for my whole life, I’ve always used Windows, and I still do now. OS 2 Is a very stable operating system, and if I had the resources, I would have developed both versions from the start, perhaps I will one day… But for now, this Poshmark automation software is going to stay Windows based. This doesn’t mean you are out of luck though! There are a number of ways even Mac user’s can own a Windows Poshmark bot and automate the selling on Poshmark. How do I know this? Well, I sort of created it! Click Here to try a 3 day trial. It’s a Virtual Private Server, a computer you can connect to in the cloud. You can basically have your own windows operating system at your fingertips, no matter which operating system you use. it’s pretty cheap AND fast! 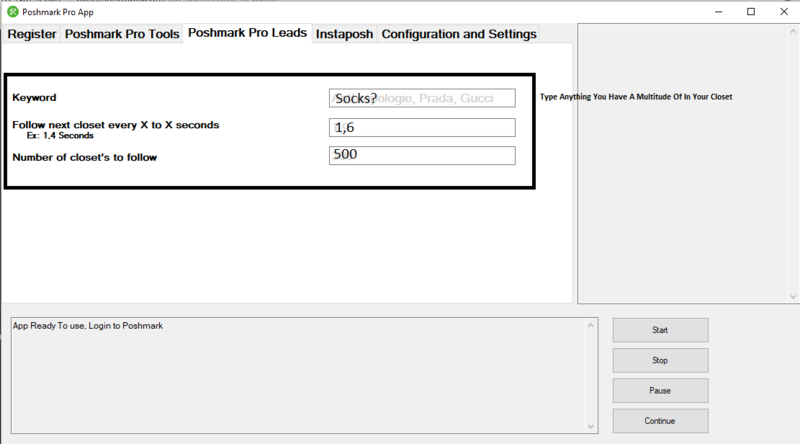 Once you are in the VPS, go to the Poshmark Pro Tools website, and download the trial, and start running it as you would any other windows software. Make sure you have .net framework installed, which you can find in out updates page. Now you have yourself an awesome Poshmark bot, even though you have a Mac. And if I’m being honest, the $8 is nothing compared to the earnings you’ll be pulling from your Poshmark sales! 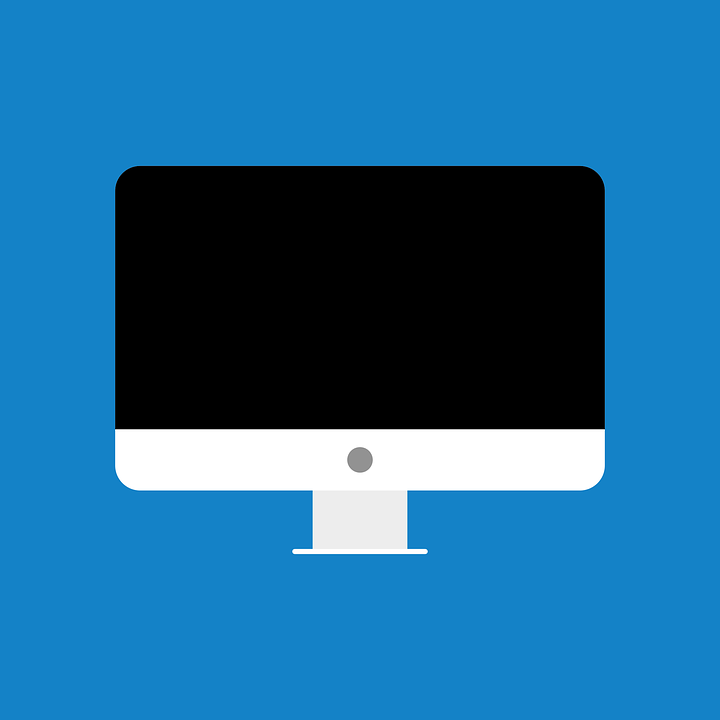 We hope this was informative and gave hope to some of you Mac users out there!